AdamC95, Horia, KrisKrk and 2 others like this. Crikey , I hope it's a quattro ? Now that's impressive, I'd love to see some more about this car. Thanks guys - alot of custom and unique parts. Impressive but why is it a world record? . Surely adding some nitrous onto a lesser build would net more power. 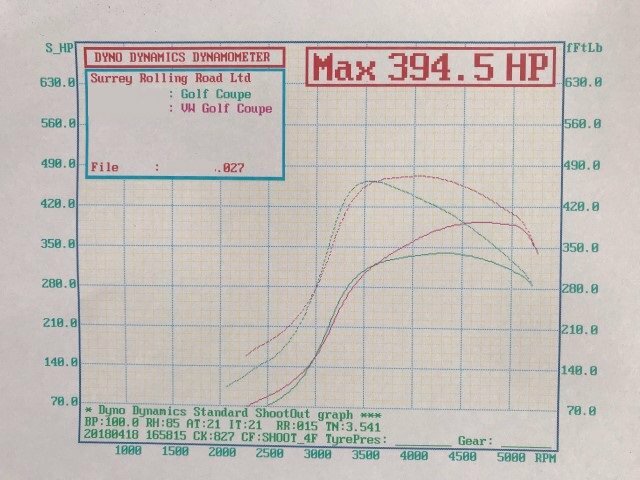 I believe that the car is a FWD as the dyno is in shoot out mode 4F which is for 4 cylinder Forced induction cars. Shoot 44 would be for a 4WD car. So I bet that's interesting to try and drive quickly in the wet . The custom springs to try and keep the inlet valves shut due to the amount of boost pressure ? Your work is impressive however, I don't think I could justify the cost though! QuattroCalum and bobby singh like this. There is no one that I'm aware of thats running over 255hp in the UK. 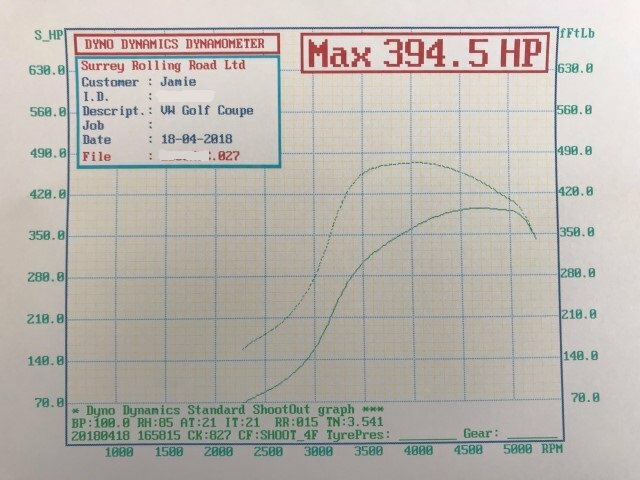 In Europe there are many claiming 280hp or even 300hp but yet this car at 255hp was pulling same 1/4 mile times and trap speed as higher claiming cars - pretty conclusive for me. Yes its FWD - has wheel hop at 3k and wheelspin in the dry at 4.5k (in 3rd). Emp is 1:1 with boost so its flows really well with under 900deg egts. 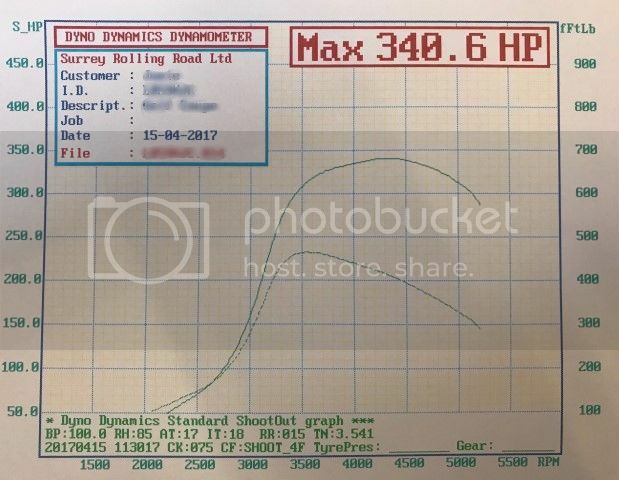 I know what you are saying about dyno figures and real world performance, It's so easy to massage figures and even if there is no obvious attempt to get higher readings the absolute numbers don't always reflect the driveability or performance in the real world.What kind of 1/4 mile times is the car running ?. ****** impressive work but devils advocate here on the point of it if i may? That can't be fun to drive keeping it in a 1500rpm powerband from 3500k rpm to 5000 rpm? From a headline figures perspective you have more torque than my RS4! but i keep 90-100% of my headline torque from 3k to 8.5k whereas you go down to 60% of your headline figure within 1500rpm then have to change gear - that must be hard work/boring as hell? Hoping to get into 12's with good trap speed. But I have more plans for mine. TDI ratios are much longer than a petrol not forgetting. Compared to 2260 it's so much faster, it is a bit laggy compared to the 2260 true - but perfectly usable to drive daily if needed and it has so much more performance at the top end. If you change at 5000 rpm revs revs drop to around 3500 so you are always in the powerband when on it and always making over 300 BHP. To the nigh Sayers I have been in a 2.0 tdi previously pushing over 300 Bhp also FWD- it was scary and nearly killed me Twice ! It had all the goodies: Bilstein PPs9 susp suspension, rs4 braces, sticky tyres on 19" wheels and a lot of custom parts as well. It was a pd engine running a gtb2260vklr hybrid. Good work as usually Bobby ! Well done mate ! Cheers Chris - how are you? New place all set up? Working on it mate, time goes a bit slow over here ! 344bigal, Horia and KrisKrk like this. Very impressive Bobby, well done. That's crazy power from a 2.0 TDI without any chemical assistance. Indeed - it was a bit worrying logging this..